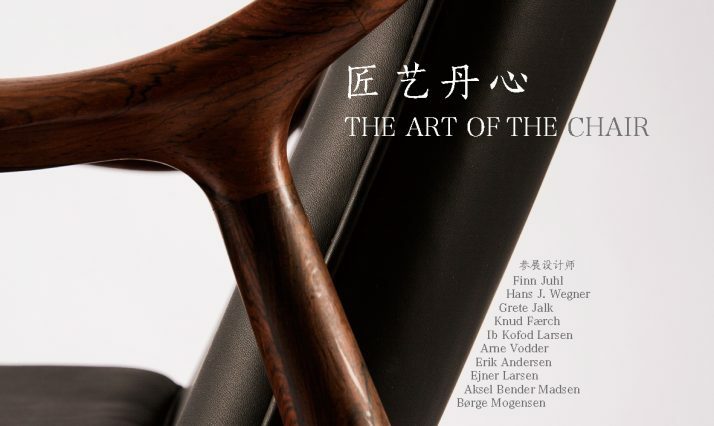 The Art of the Chair is the new exhibition at Danish Cultural Center in Beijing. It opened on March the 20th and runs until April the 22nd. It showcases a whole range of Danish chairs from the great and renowned designers: Finn Juhl, Børge Mogensen, Hans J. Wegner, Grete Jalk, Knud Færch, Ib Kofoed Larsen, Arne Vodder, Erik Andersen, Ejner Larsen and Aksel Bender Madsen. Daily film screenings will accompany the exhibition, as well as three lectures. Two films on the history of Danish furniture design will be screened. In a continuous loop, you will be able to watch the 17 minutes long historic documentary ‘Danish Design’, and every day at 16.00, you can see ‘Designs For Life’, a 58 minutes bio-pic on the iconic furniture designer Børge Mogensen. Both films are with Chinese subtitles. 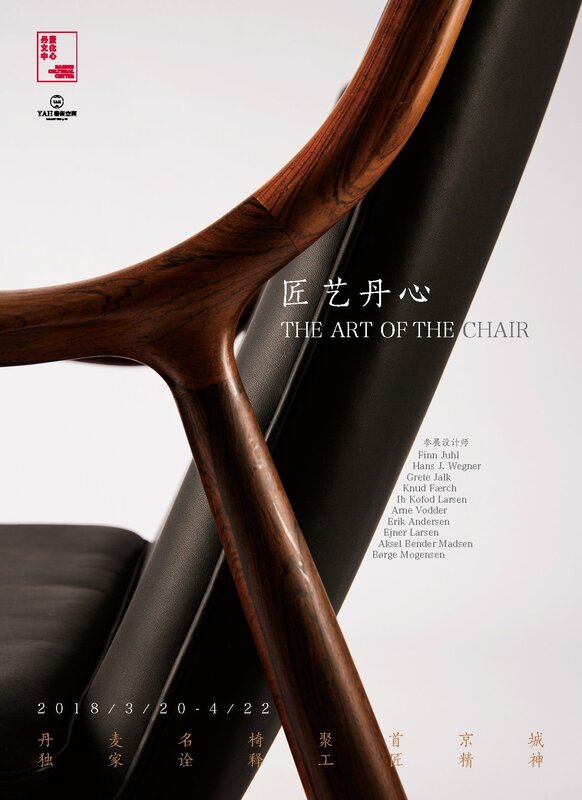 The lectures will offer different takes on the subject of The Art of the Chair. Focusing on the basics of finding the right design for sitting, the concepts of art, creation and life, and the specific history of the Danish tradition for designing furniture. See the dates further down the page. The chair is a very old and important object in design history. Connected to status and function in a way that perhaps no other piece of furniture can claim to be. From office chairs to thrones, any chair is a wellspring of associations. Through history specific chairs have had their place under emperors, mandarins, monks, writers and other groups that would not seem the same without their special seat. In Danish design history as well, the chair stands out. Many of the most prominent of Danish designers are most famous for one or more of their chairs. In several cases these are known around the world. The style called Danish Modern, in which most of these iconic chairs have been made, is best described as a continuous process of purification, and for some of simplification, to cut down to the simplest possible elements of four legs, a seat and combined top rail and arm rest, to make a work of art.